Classical and Vintage designs come together to create a remarkable ring. 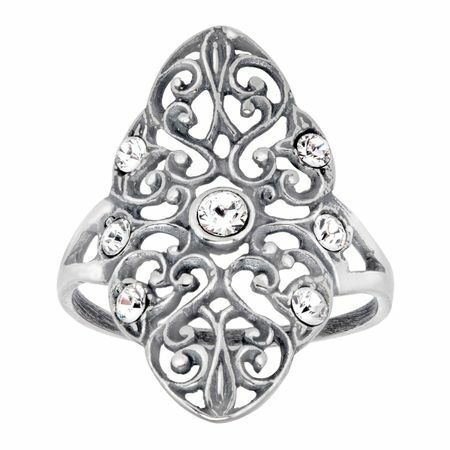 This Van Kempen ring features glistening Swarovski crystals in a unique design spread out through the ring and is set in sterling silver. Ring face measures 15/16 by 13/16 inches.